It took some waiting, some consolidation and a near miss with a Calatrava, but I am very happy to say I am the proud owner of a 5396g. I have been wanting an annual calendar Patek and some of my other watches were not getting any wrist time over my FP Journe and my Aquanaut. So here is a not so great wrist shot. 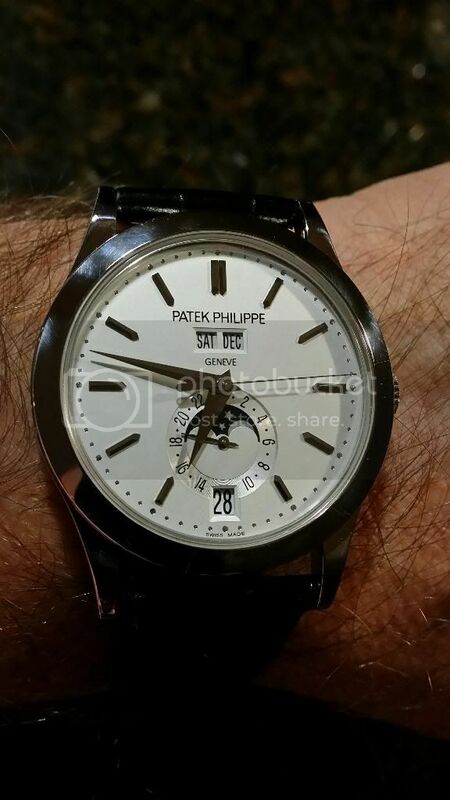 Next Topic: Patek Calibre 324 SC Date alignment Issues?